If you are a speaker who doesn’t have the endearing love and support of his audience, you’re probably willing to do just about whatever it takes to win them over. This tutorial will help guide the reader through the steps necessary to deliver a successful presentation to a hostile or tough audience. Your audience could be a “tough audience” for a number of reasons. Perhaps your presentation is a hard sales pitch and you know that they know. Perhaps you’re speaking to a group of people whose time is extremely valuable, and you feel a bit inadequate. Maybe you have a message that isn’t very popular. Whatever your situation may be, here are a few key points to remember for your next presentation to a tough audience. Acknowledge your audience’s valuable time, and thank them for choosing to hear you out. If you let people know in a genuine way that you respect their time, are aware of its value, and have no intention of wasting it, you’ll see the audience become more receptive to what you have to say. Don’t try to squeeze every possible thing you might say into one speech. Being generic because you have a limited amount of time and an audience that is thinking about something else is frustrating for a speaker and for an audience. Tell your audience a few really important things about the information you have to present. Being concise and meaningful is far better than generic and uninformative. Put yourself on the same level as your audience. Whether this means “stepping up” or “stepping down,” if you can use the audience’s language and relate to them with examples from their culture or industry, you have a greater chance of connecting with them and making the material in your presentation more interesting and accessible. Don’t be afraid to repeat yourself. If an audience seems to be uninterested, but you know you have information they could be interested in, repeat yourself. No matter who your audience is, attention spans are always going in and out during your presentation. Stating your key points again can help bring your message home. Use an audience member, if possible. This does not mean you should pull someone out of the crowd. Rather, if you are presenting to an industry to which you are an outsider, use an inside contact in your presentation. If you can have an insider associate with you, it lends you credibility with your audience. Let this person present key findings, as it’s likely that they will have the audience’s attention. No matter what, don’t get overwhelmed or flustered during your presentation. Easier said than done, this part is important. An audience can tell if you are getting frustrated with them. When people sense this frustration, it’s likely to be a distraction, and it will not result in an effective presentation. Always remain professional throughout your presentation no matter how your audience behaves. With these tips, you should be better prepared for the next presentation you have to give to a tough audience. Stepping outside of your presentation comfort zone becomes easier with practice, and makes you a better and more confident presenter when you share information or deliver a sales pitch to an audience that knows and loves you. These tips will help win over a tough audience so that your information is effective and well received. 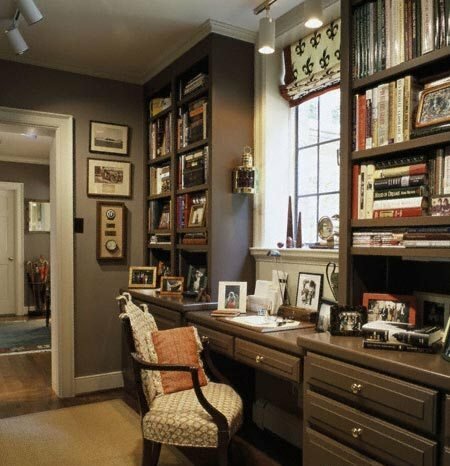 Can I Deduct my Home Office? 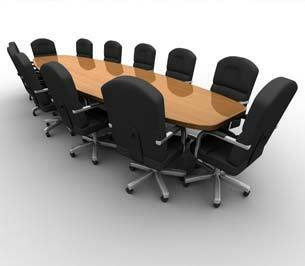 How Do I Create A Board Of Directors For My Company?